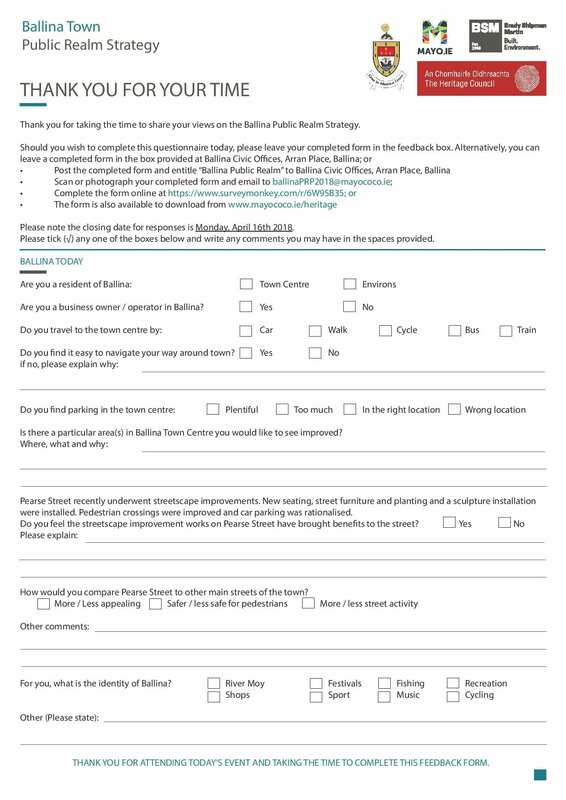 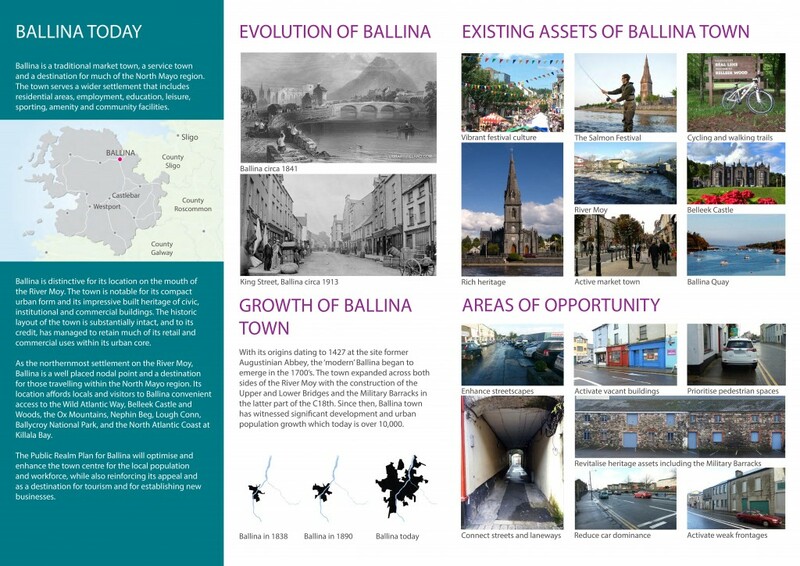 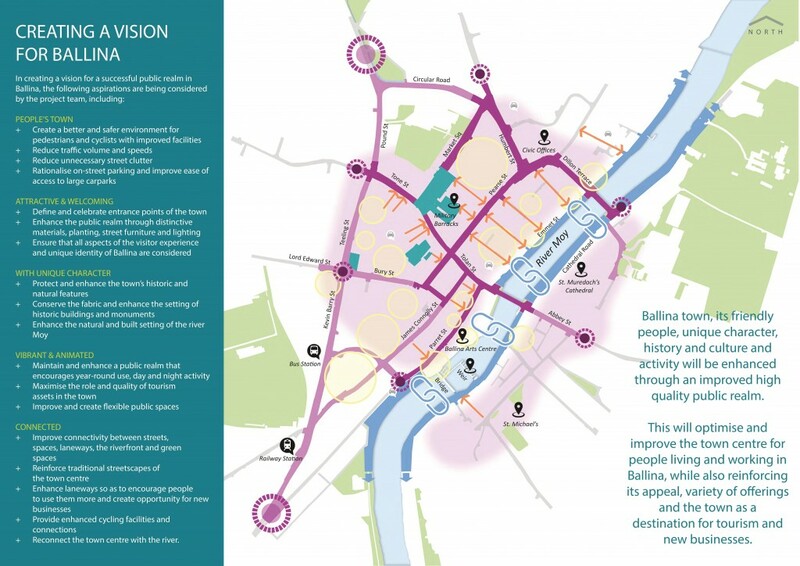 ‌Mayo County Council, with support from with the Heritage Council, is preparing a Public Realm Plan for the streets and open spaces in Ballina. 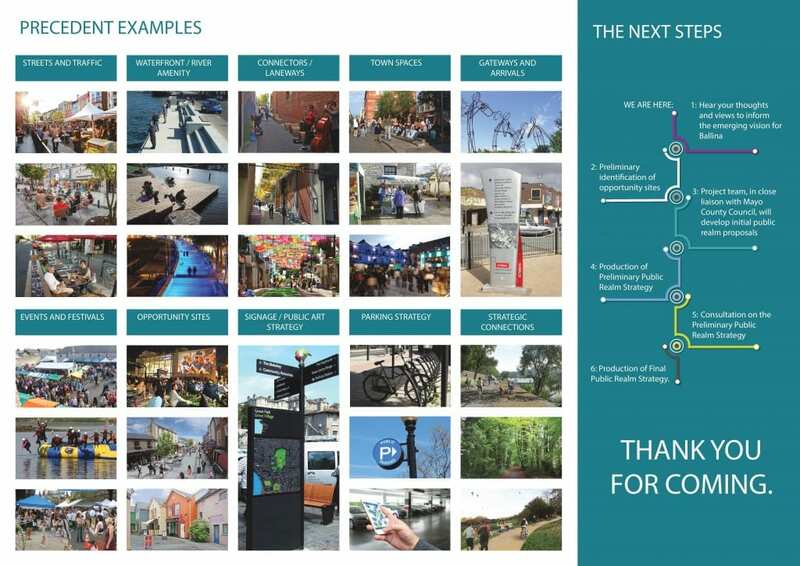 The Plan will be developed through a collaborative process and will deliver a range of benefits for the town and the community. 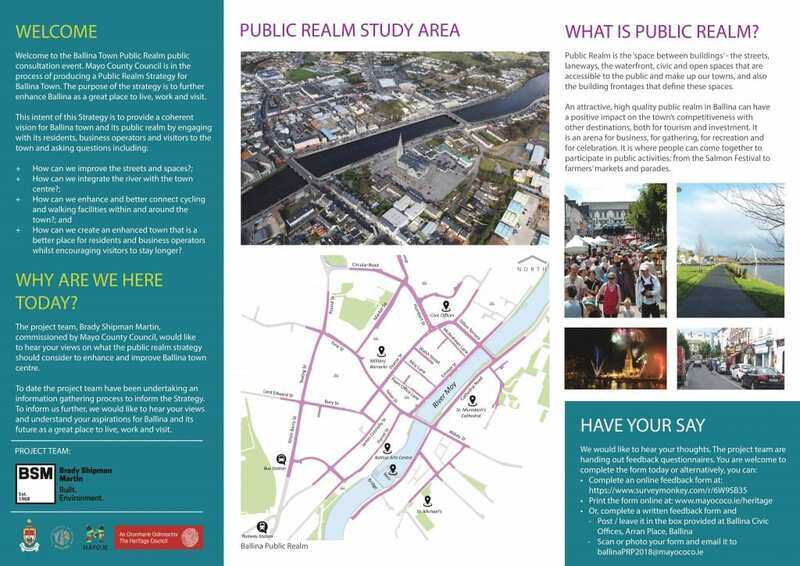 on Friday 23rd March from 2.30 pm to 6.30 pm. 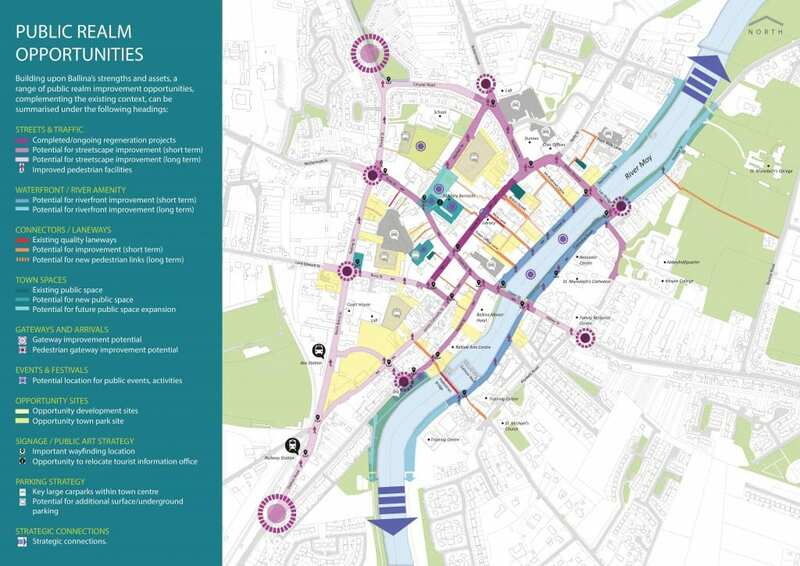 However, you can still get involved at this early stage, as your input will be crucial to the development of the plan. 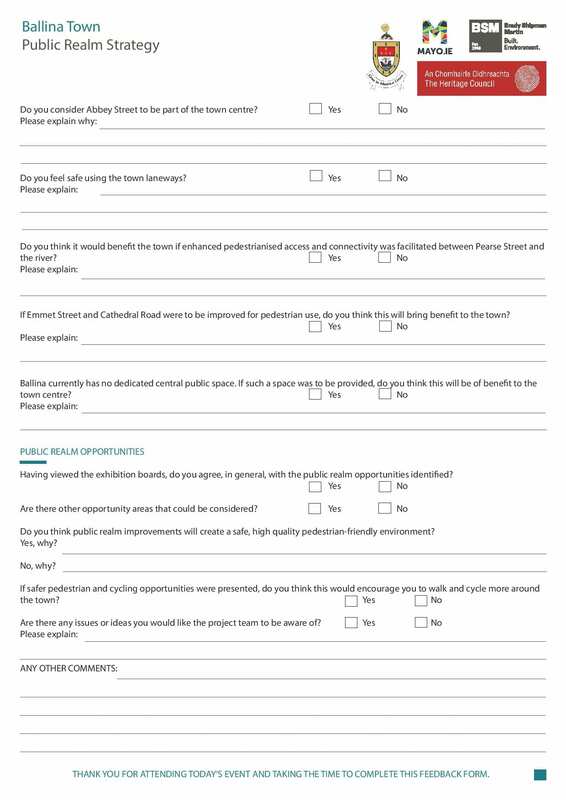 Feedback forms can be submitted until Monday 16th April 2018.